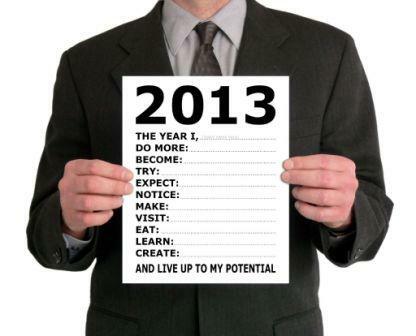 Home 2013 goals Goals for 2013 Happy 2013 New Year New Year Plans New Year Resolution Top 13 of 2013 Go 13 for 2013! 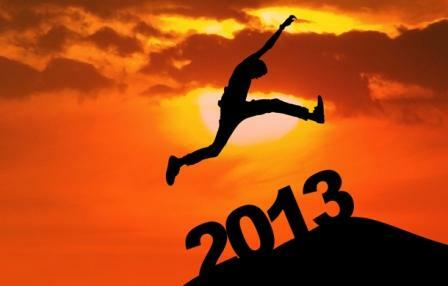 After I concluded and wrapped-up the year 2012, time now to face the challenges of the new year, the year 2013. 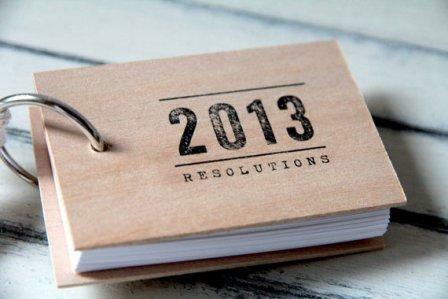 Many of us write down their so-called new year's resolutions every start of the year. Their resolutions include the things they will do to become more better in the coming year. Some even consulted fortune-tellers to have a glimpse on what the new year has something to give. Every start of the year here in my blog site Bits of Rocks, I'm writing down the things I will do for the rest of the year. I even list my expectations, goals, or the things yet to happen in the year. This year, I'll be more health conscious. My main priority this year is health and wellness. Last 2012, I rarely go to gym because of the different events I have attended on weekends. This year, I will allot more time specially on weekends to workout. I'll maintain my body to become sexier and hunkier this year. In 2012 my professional career seemed stagnant. Many challenges and conflicts blocked my way. This year, expect a career wiser strategy and expect changes that will happen. Last year, I truly became busy in terms of events. 2012 marked the year of events. This year, expect more new events to come. I'll still attend exciting events which I haven't yet attended before. My blogging career keep on blooming every year. Since the time I started blogging, I wouldn't deny that I earn income from them. I have my Adsense, Innity, Ambient, or Pay per Posting which bring some amount of money to me. This year, I'm targeting now direct advertisers and sponsors in my blogs. Speaking again of blogging, 2013 marks the 5TH Year Anniversary of my blogging career. Yes, this blog site Bits of Rocks which is my personal and lifestyle blog will be turning 5 years old this coming March along with my other first blogs namely Rhythm of the Rock which is my music blog and my literary blog called The Rock's Literary Collection. I started blogging in 2007 using the social networking site Friendster. But it was on March 2008 when I officially use Blogger or the blogspot platform in blogging. This gonna be a huge celebration indeed! 2012 was truly my celebrity year since I already met the different personalities and celebrities both local and international. This year, I'm looking forward to see more stars whom I didn't yet personally met before. More photos and videos to come! I'm looking forward to earn more this year. Therefore, I can save more. Hopefully, I can reach my target savings at the end of the year! 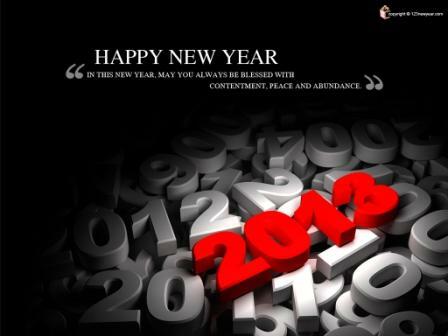 In my 2012 yearender, I've told you that my network of friends truly expanded and I met new people. Of course I wouldn't deny that I also met antagonists. This year, I'm expecting to met more people, friends, and lovers! In 2012, my lovelife truly bloomed. I got three official relationships plus countless short affairs. This year, we'll see if our relationship still prosper or becomes stronger. I'm currently attracted to a person whom cannot be mine (but there are chances that we can be). Let's see how our love story prolong! In terms of material things, I'm looking forward to buy gadgets I'm dreaming of. We will also buy other things (e.g. furniture, appliances, etc.) if needed in our home. In 2012 I started to upload my personal videos which include my interviews and moments with the celebrities. My YouTube account started to become active. This year aside from uploading my videos together with the stars, I will also start exposing my talent in the YouTube. Yes sooner, you will see me singing in the videos having my own cover versions of the hit songs! Hehehe...!!! This year, I'm looking forward to see my brother marching wearing his graduation attire. Hoping that he can passed all his subjects without any failing marks so that he can graduate and be ready to the corporate challenges. In 2012 I was supposed to be sent outside the country as I mentioned in my yearender. But, it was not prosper. This year, I'm looking forward to travel outside the country. And of course as I mentioned a while ago, expect for a great change! I wouldn't elaborate it more here in my post. But later on, I will share it with you. These are my 13 for 2013! My goals, expectations, and target things to accomplish in this year of the Water Snake! Hoping that all these things will come to life this year!